Bonus points to anyone who can immediately identify which movie this line is from, it’s one of my favourites of all time. Many people have food related traditions associated with New Years Eve. Unfortunately, when I was younger I frequently became sick around holiday time and would therefore miss out on the festivities. I recall quite a few New Years Eves spent feverish and lying on the couch. As a result, my New Years Eve tradition was not food related but rather an activity that was conducive to lying on the couch in agony. I would watch The Blues Brothers with Dad and count the number of cars that crashed during the chase scene. Even though we don’t own the movie, The Blues Brothers is one of those classic movies that is always on TV, (much to Mom’s chagrin) and it was regularly played on New Years Eve. Mom does not share our love of The Blues Brothers, but like with most other things, she puts up with it, (and us) with patience and grace and lets us watch our movie, time and time again. One of my favourite scenes from The Blues Brothers, is when they play Everybody Needs Somebody to Love. Although I’ll deny it if you ask me later, this song makes me want to dance. Just hearing it puts me in a good mood and I especially like listening to it in the kitchen, preferably when I’m alone so I can dance when no one’s watching. This year I’ll be working on New Years Eve so there’s no time to start any food related traditions but I thought I might offer a couple sweet and savoury suggestions in case anyone’s still looking for New Years nibbles. 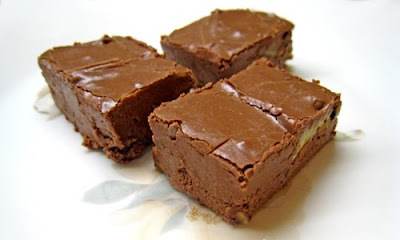 Fantasy-ish Fudge from 101 Cookbooks. Heidi calls this fudge “so good, but oh-sooo bad” and I’d call it perfect for anyone with an extreme sweet tooth. New Years is always an excuse for gluttony before everyone resolves to lose ten pounds and hit the gym in January, so you might as well add fudge to the dessert tray. Cut the squares small though or you may end up in a sugar coma. Spanakopitas from Gourmet via Epicurious. 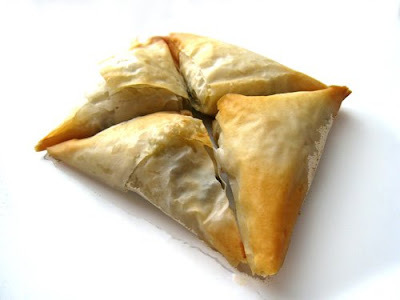 I don’t actually use a recipe anymore when I make spanakopita but this recipe from Gourmet seems about right. Basically any combination of spinach, feta, herbs, spices and maybe some nuts works for me. Phyllo dough is a pain to work with but it’s usually a guest pleasing appetizer so I guess that makes it worth the trouble. 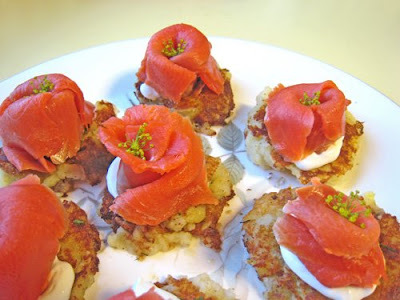 Smoked Salmon on Potato Pancakes with Sour Cream and Dill. I made these one night when I needed a quick appetizer and although they weren’t the easiest things to eat, (unless you’re good at taking really big bites) they were pretty tasty. Next time I’d make them smaller. Happy New Year everyone and please remember people, that no matter who you are and what you do to live, thrive and survive, there are still some things that make us all the same. You, me them, everybody, everybody! Everybody needs somebody to love, someone to love! Posted by Brilynn at 1:15 a.m.
Mmm, look at all your tasty treats. I didn't get fudge this year so I am really eyeing that. what a great spread! Happy New Year! The Blues Brothers was on 2 days ago. I have watched it so many times I may just be able to recite it word for word. Have a healthy, happay and tasty 2009!!!!! "It's got a cop motor, a 440 cubic inch plant, it's got cop tires, cop suspensions, cop shocks. It's a model made before catalytic converters so it'll run good on regular gas. What do you say, is it the new Bluesmobile or what?" That is one of my all time favorite movies! And your New Years spread sounds fantastic. I'm packing up the teeie weenies, the cheese fondue and heading right on over! I'd be happy with any of those tasty treats for New Year's. Our tradition is usually Chinese food, at home or out. Happy new year, and best wishes for a wonderfully sweet 2009. I love these customs - except for the always getting sick part. Your feast looks like a full blown roundup for a foodie event - how cool is that. AND, now that you westerners are getting a taste of what a real winter looks like..snicker snicker... (oops..new years resolution - do not be mean spirited), you can enjoy with the rest of the east. It all looks delicious! I hope you managed to make it through the holidays without getting sick this year. Lovely treats. Happy New Year Brilynn! Thanks for dropping by. Happy New Year to you & your family. Everything looks great! 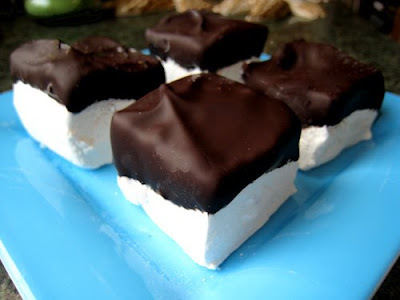 I have to try making marshmallows & make my own rockyroad. Hope you had a fab start to 2009. The Blues Brothers is our favorite movie in this house over the holidays!! My sister's children are younger and I think they would like to have the chocolate dipped marshmallows rather than saurkraut!!!! 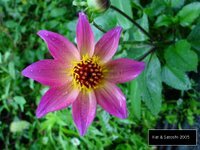 Thanks for leaving a comment on my site and happy New Year!! Now I have two things that I absolutely must do: watch "The Blues Brothers" (I have NO idea how I missed seeing it when it came out or the many times that it has been on TV!) and make spanakopita. I adore them but we have never actually made them here. My Dad usually makes fudge at Christmas but didn't this year due to being sick; I didn't feel right taking his place! Hope you have a great 2009, Brilynn! The Blues Brothers is still one of my all-time favorite movies. Love it! I love all the tasty nibbles you have! Great selection. Happy New Year! Oh..yum! Happy New Year, Brilynn! I went to see a Blues Brothers tribute band in a small venue and it was totally amazing. All the food looks very enticing. oh, thats an easy one! Blues Brothers! :) I always watched it on New Years Eve growing up. Pass me some fudge please?